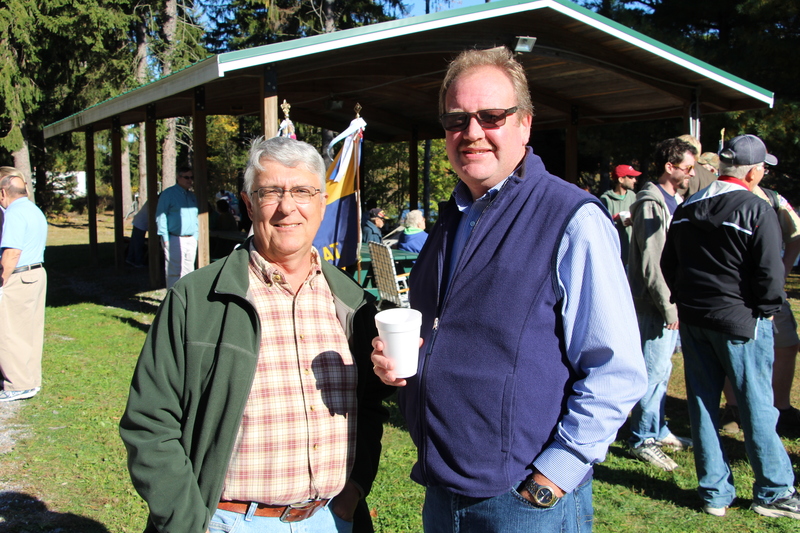 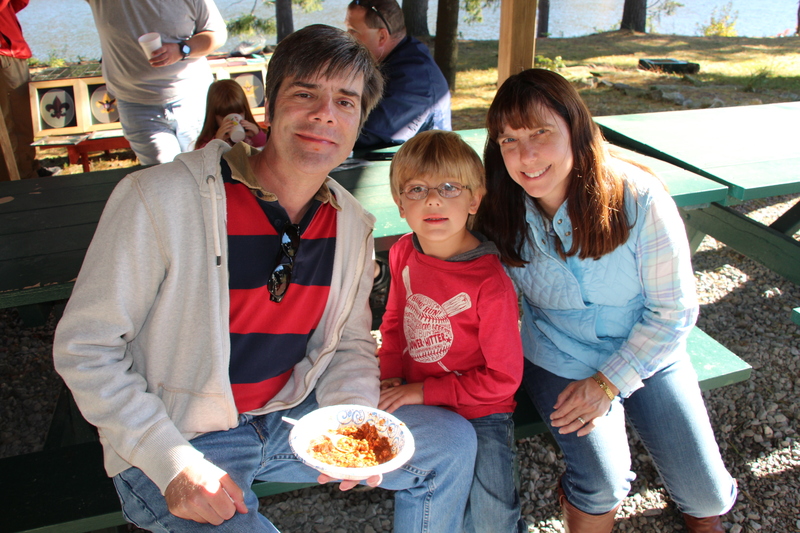 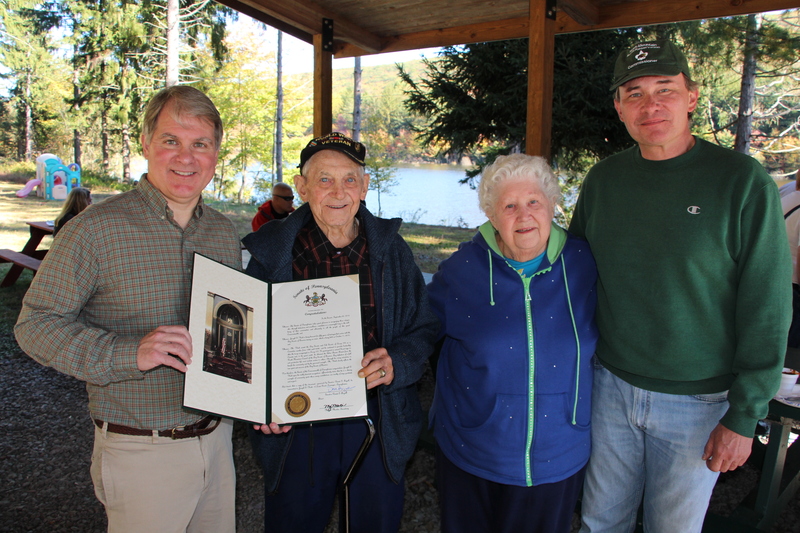 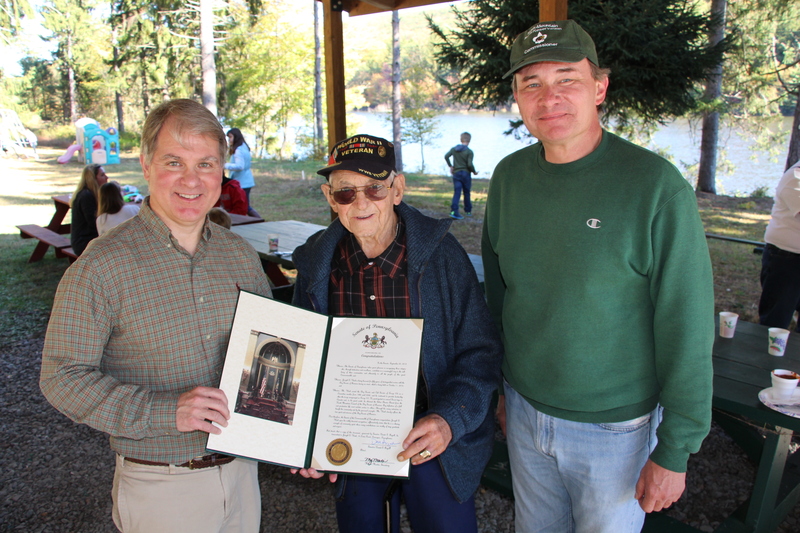 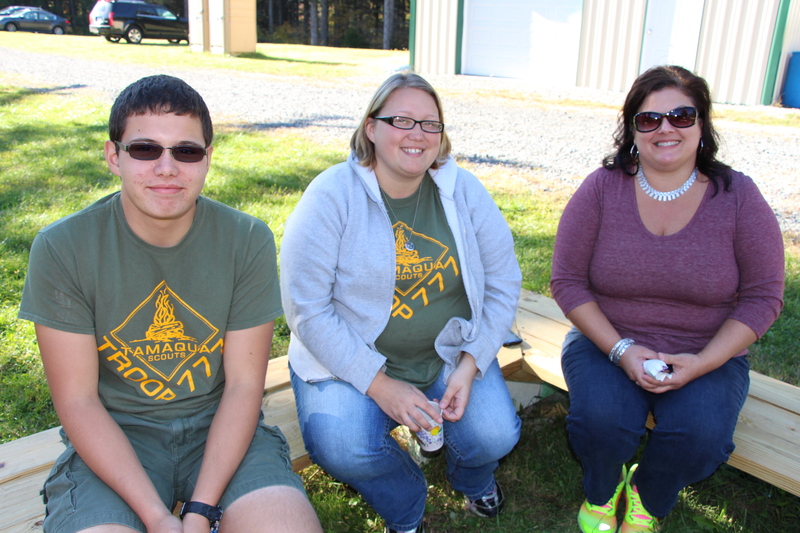 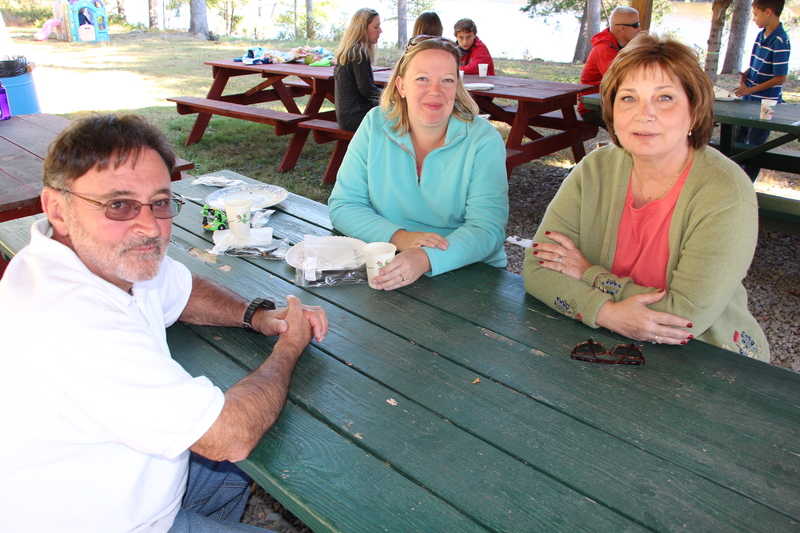 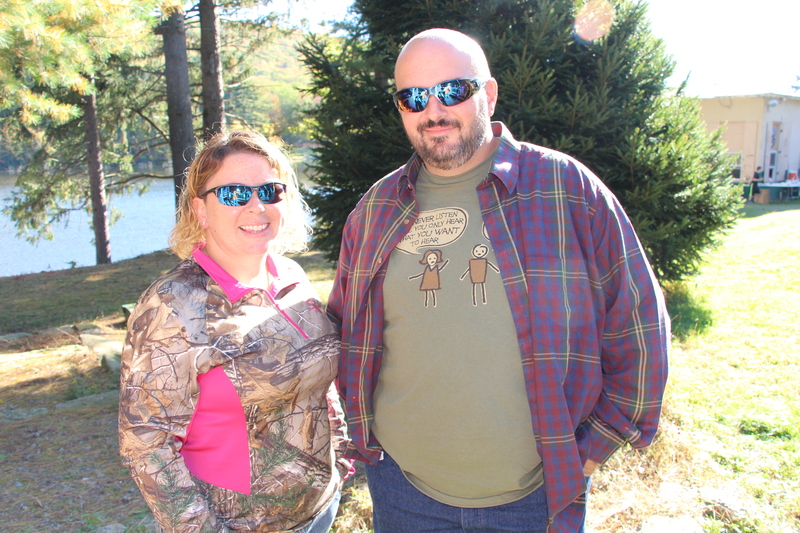 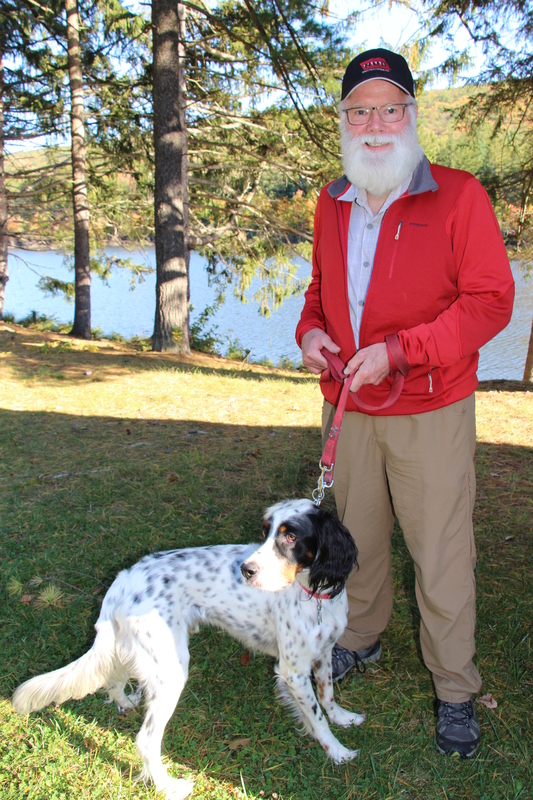 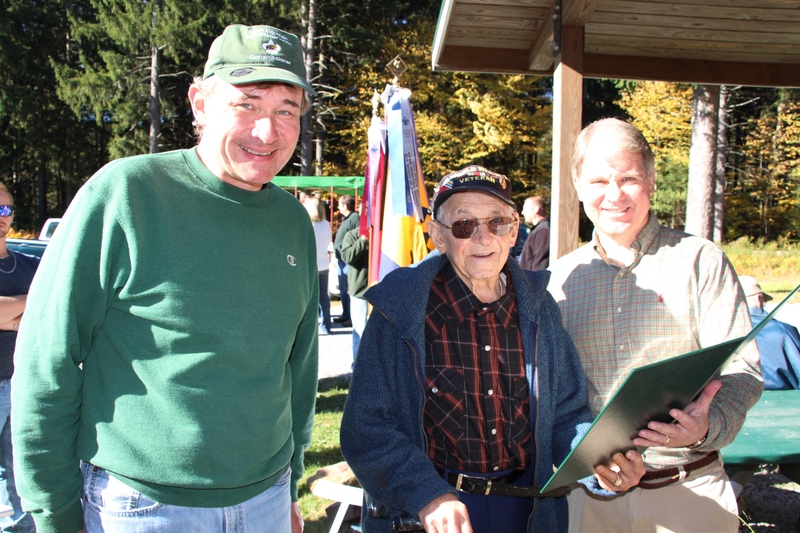 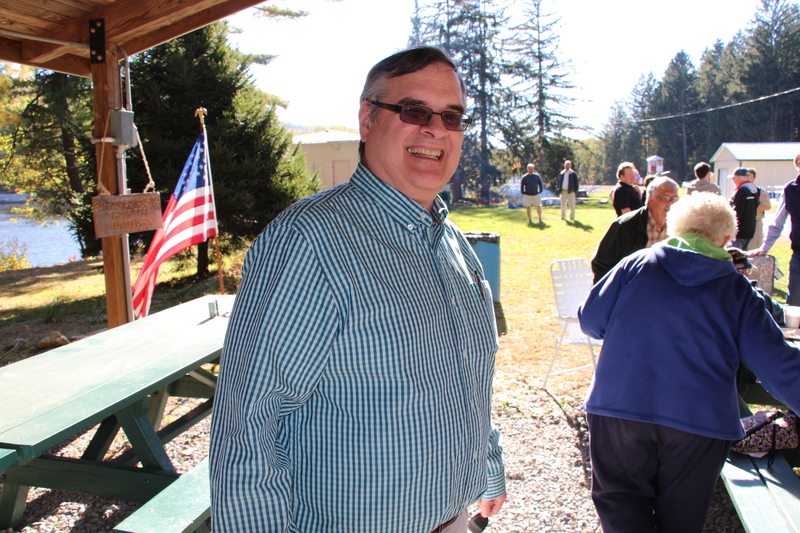 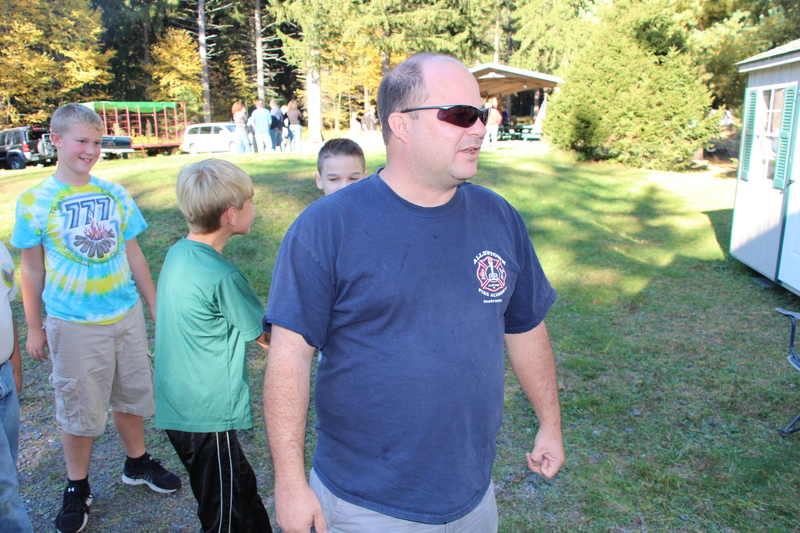 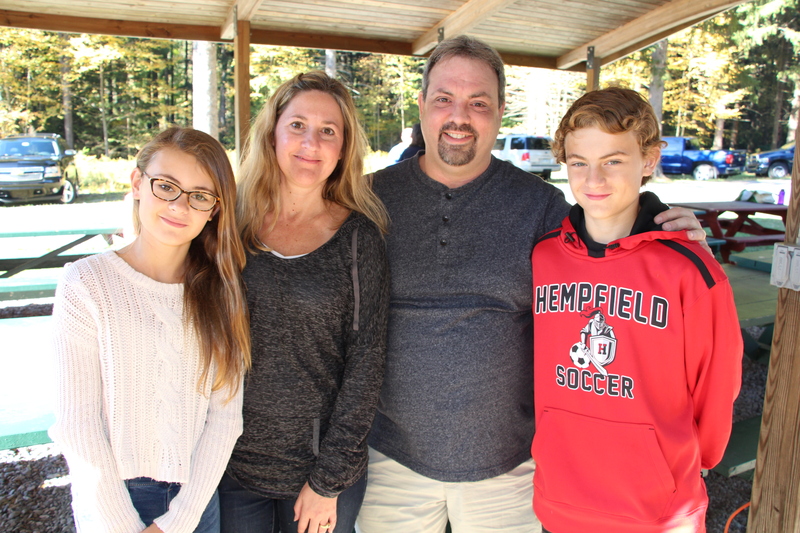 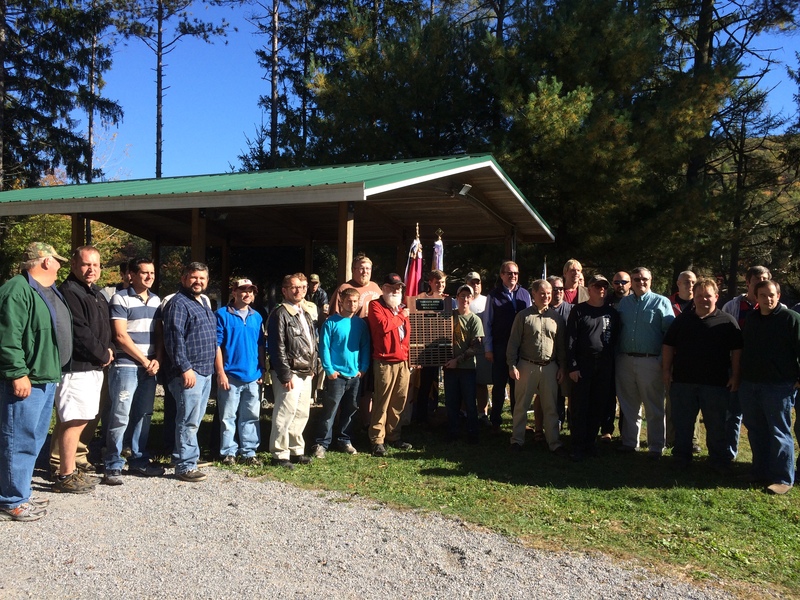 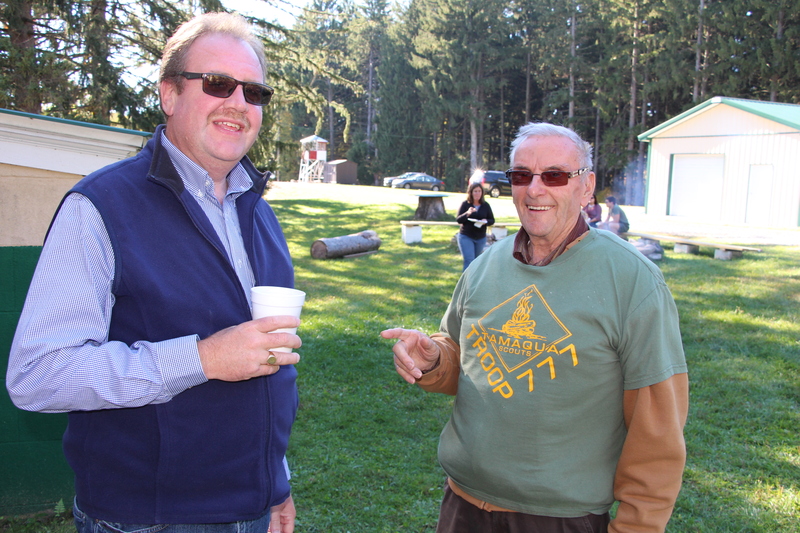 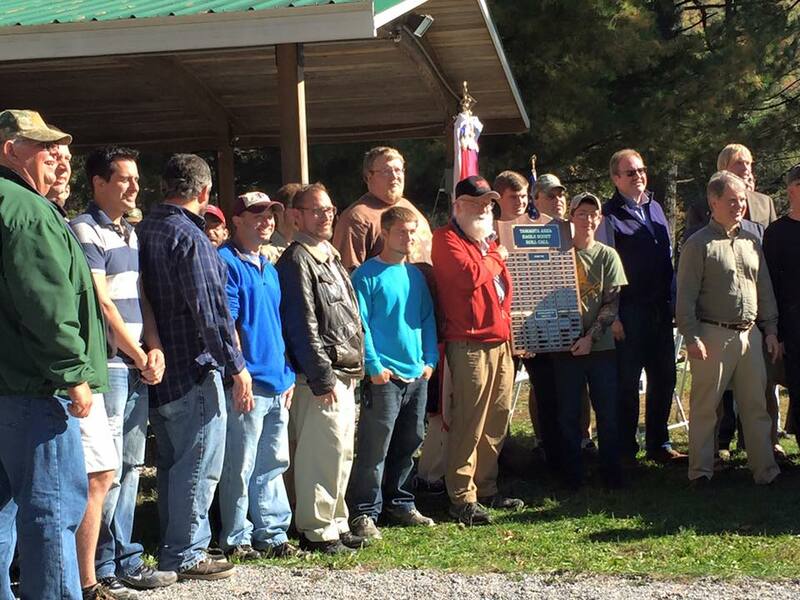 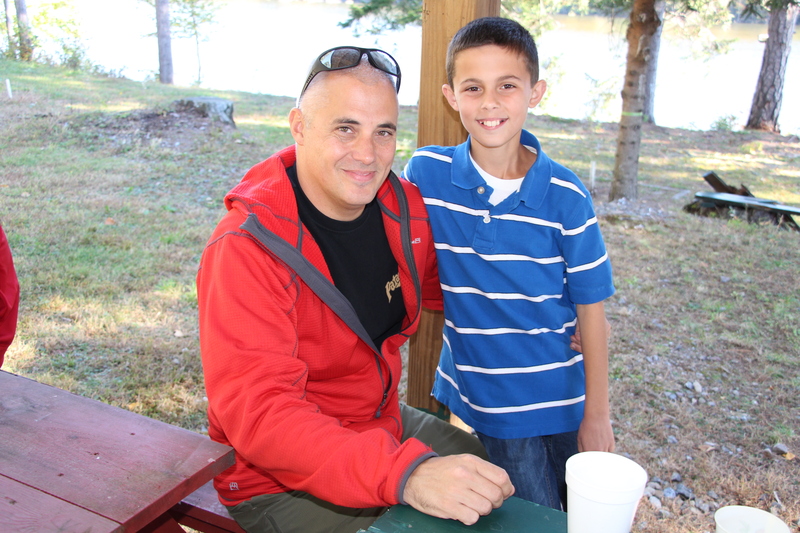 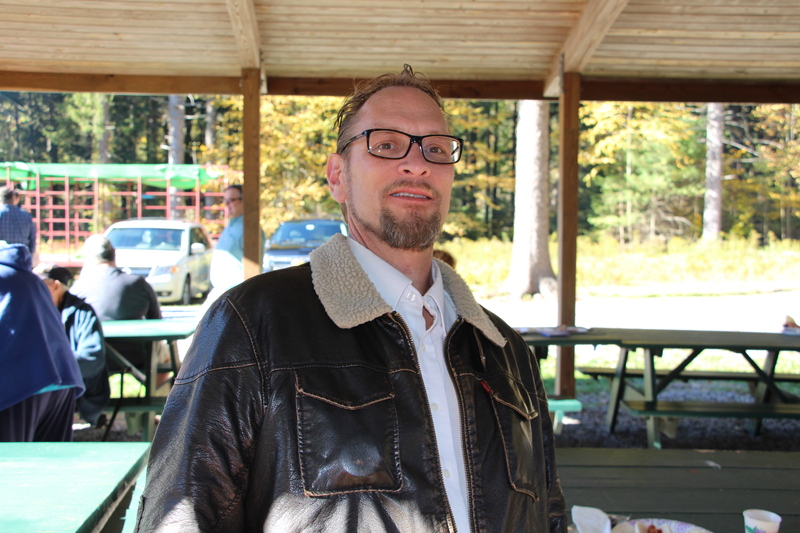 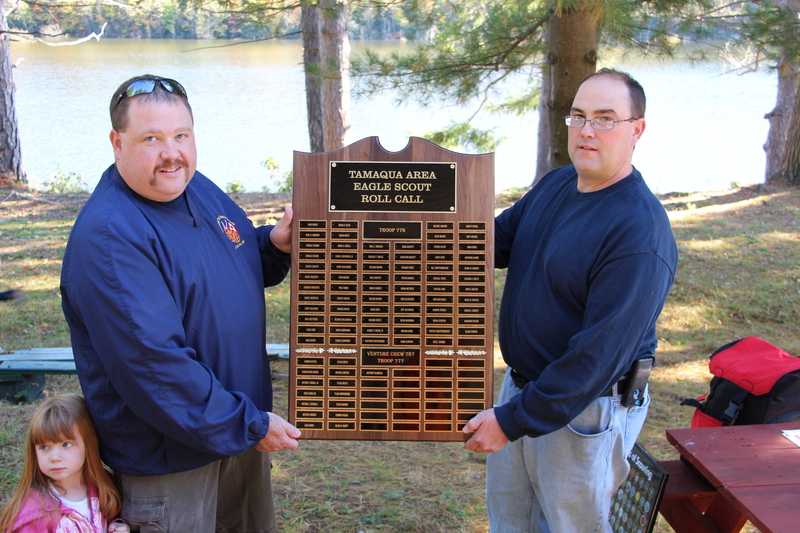 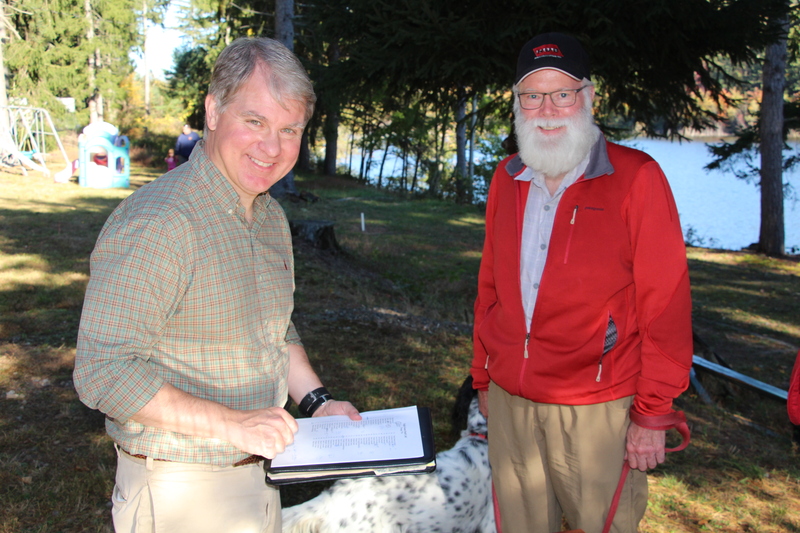 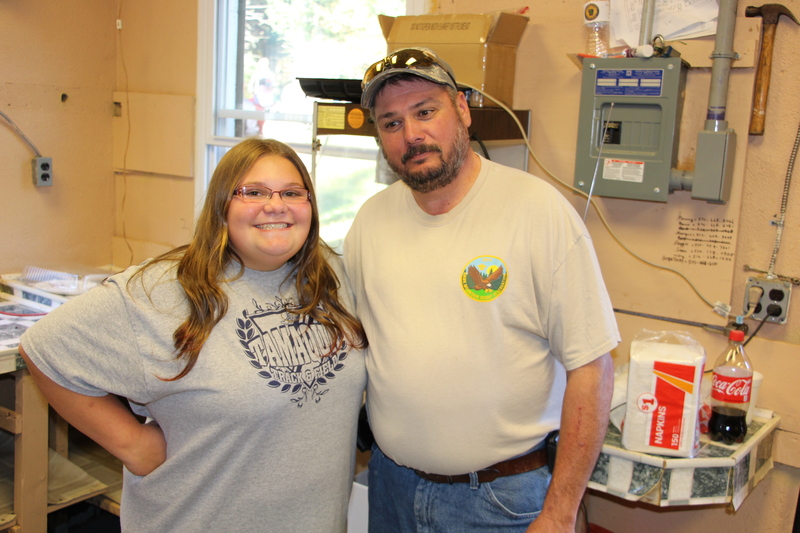 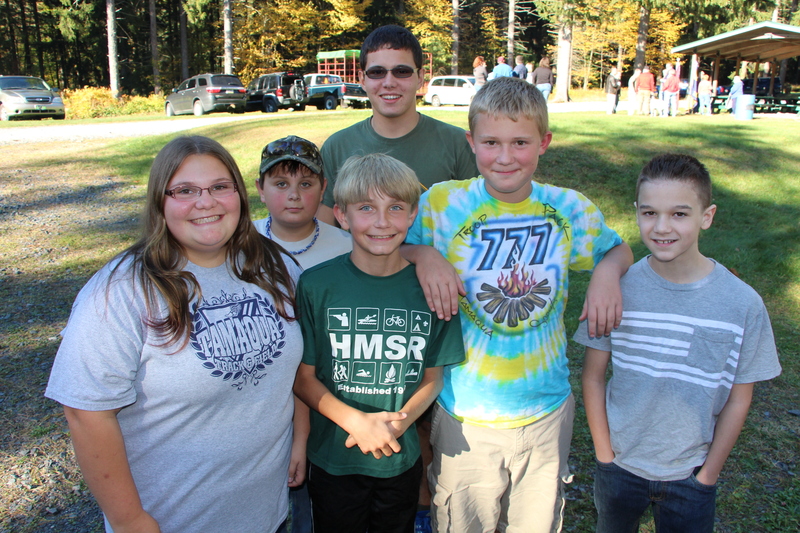 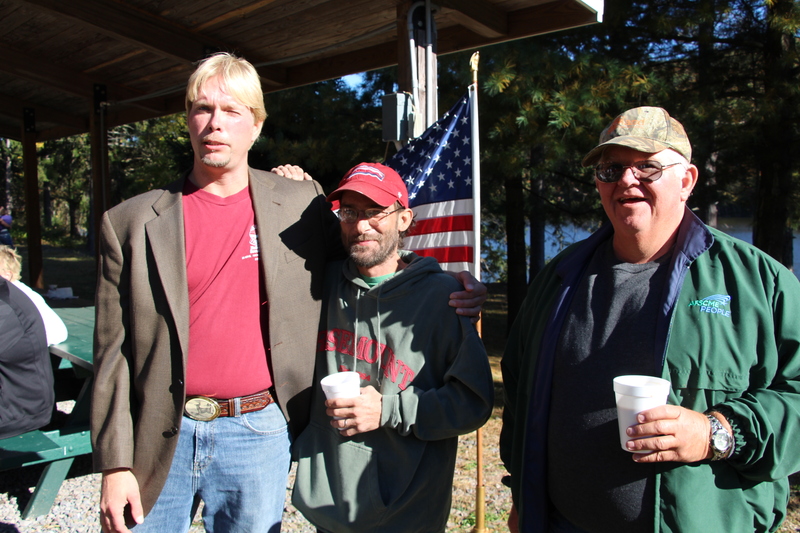 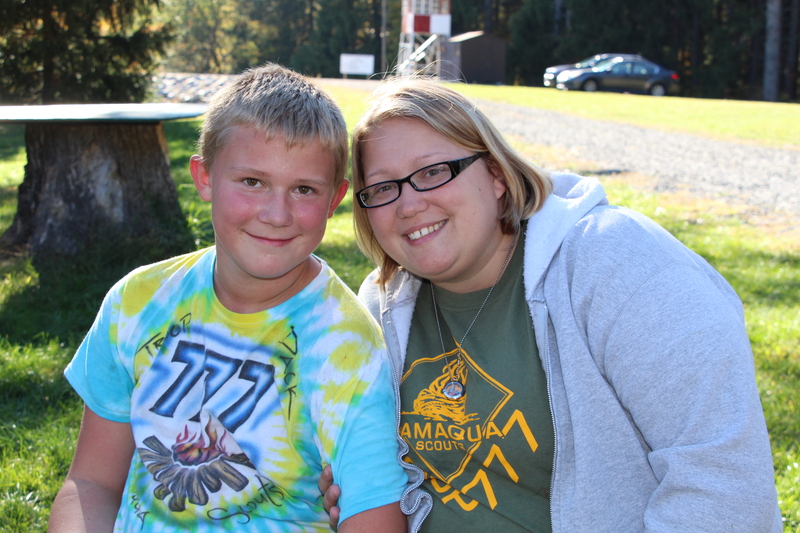 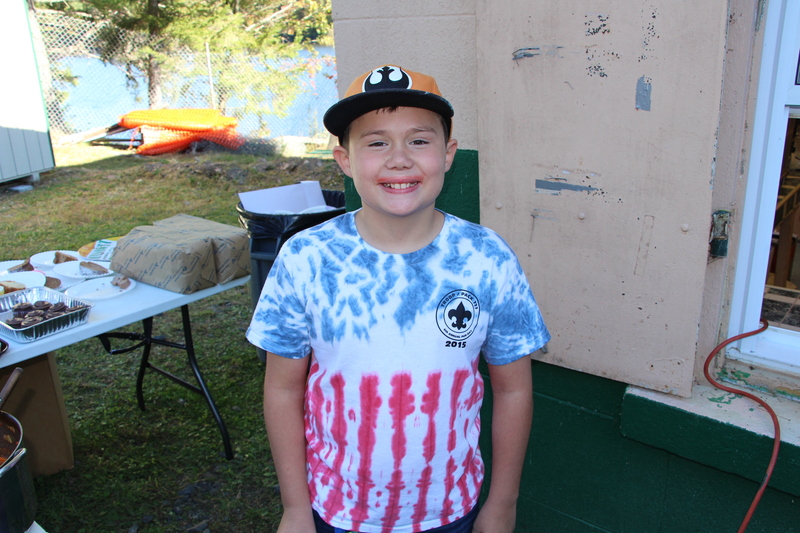 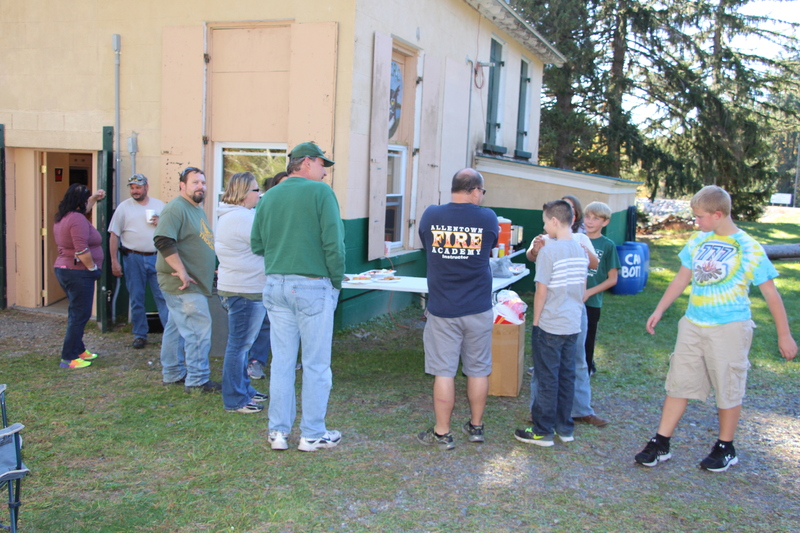 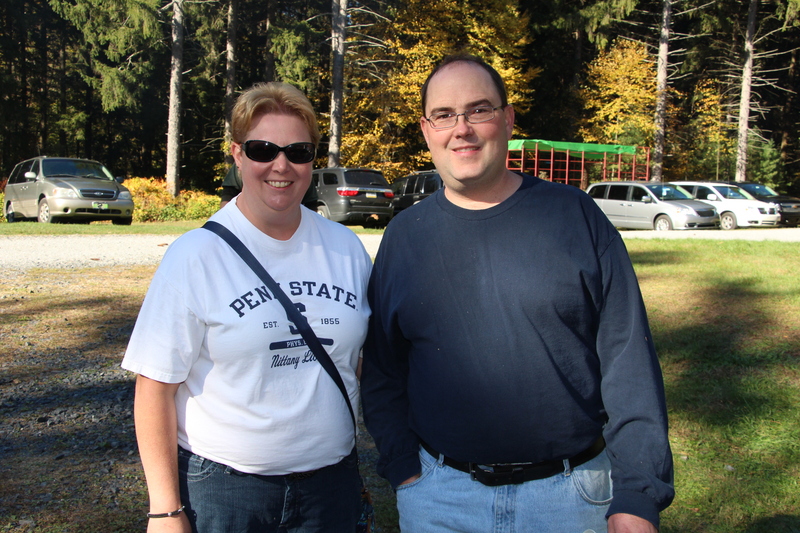 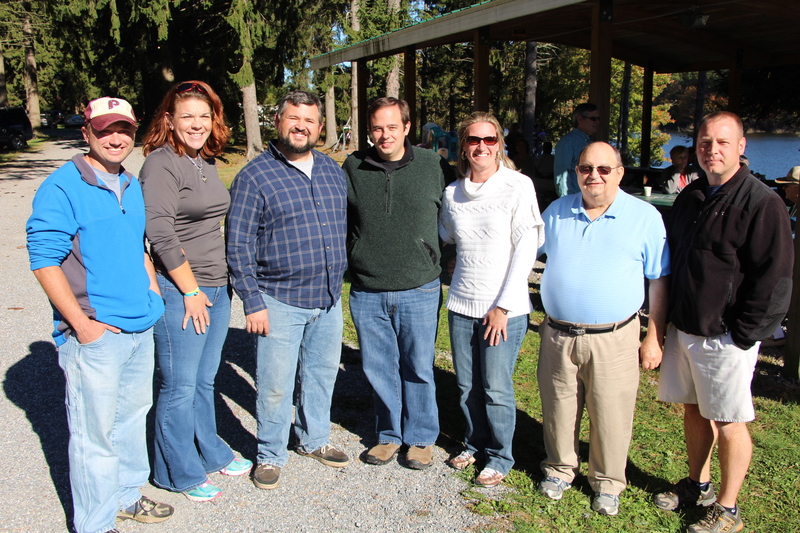 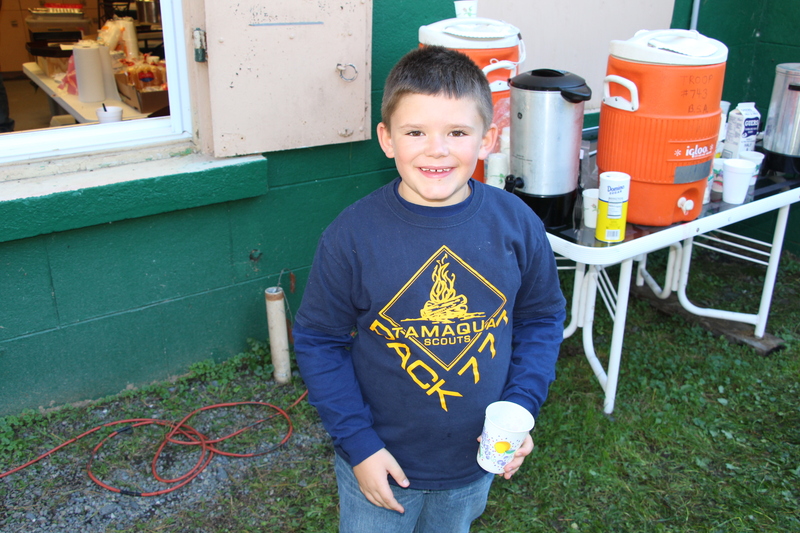 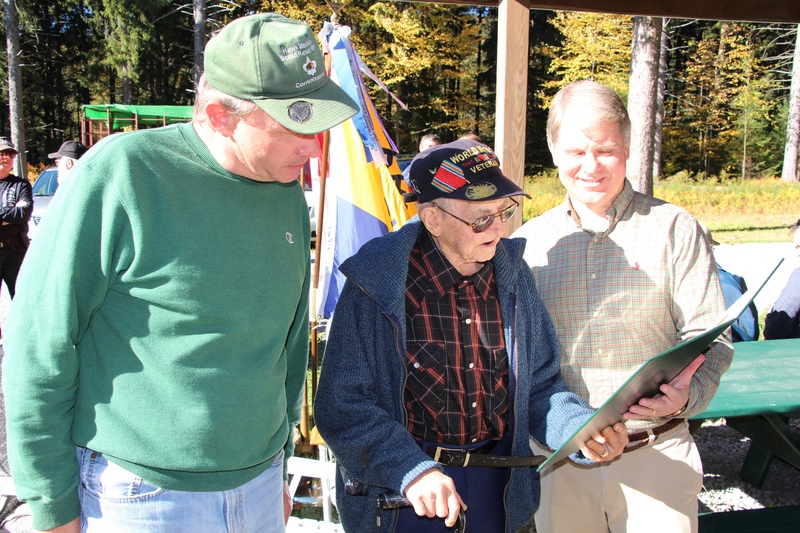 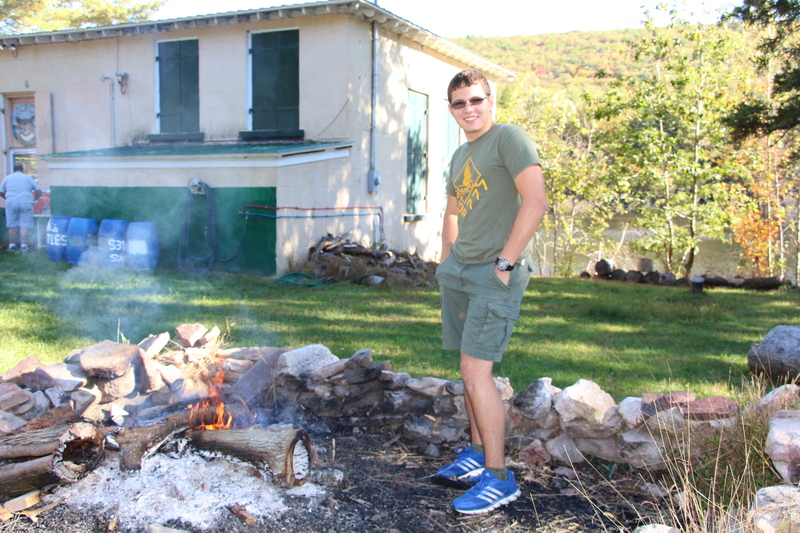 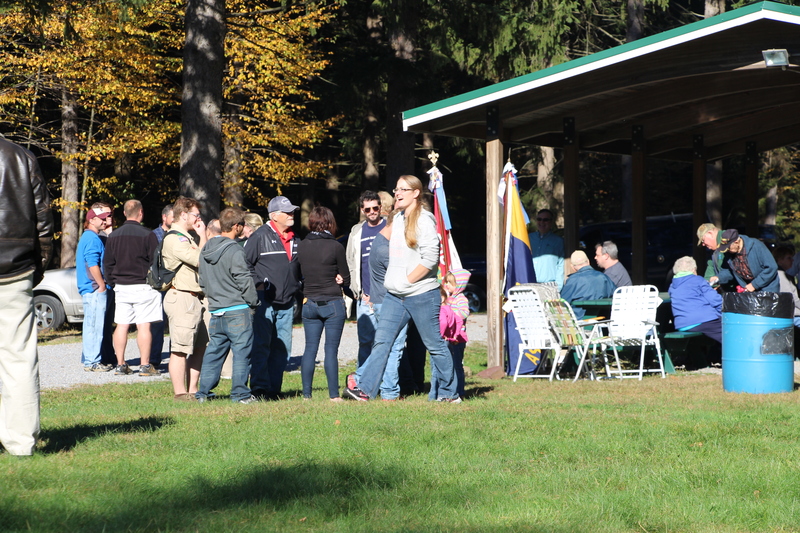 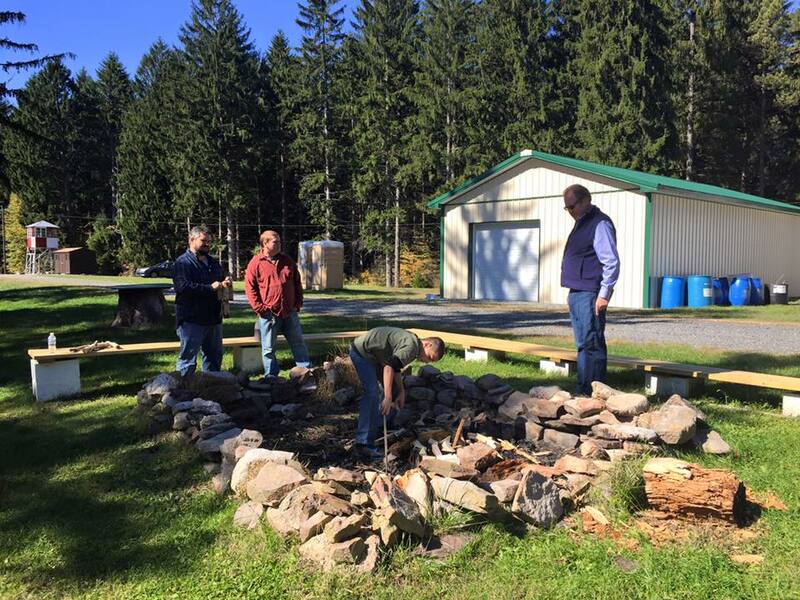 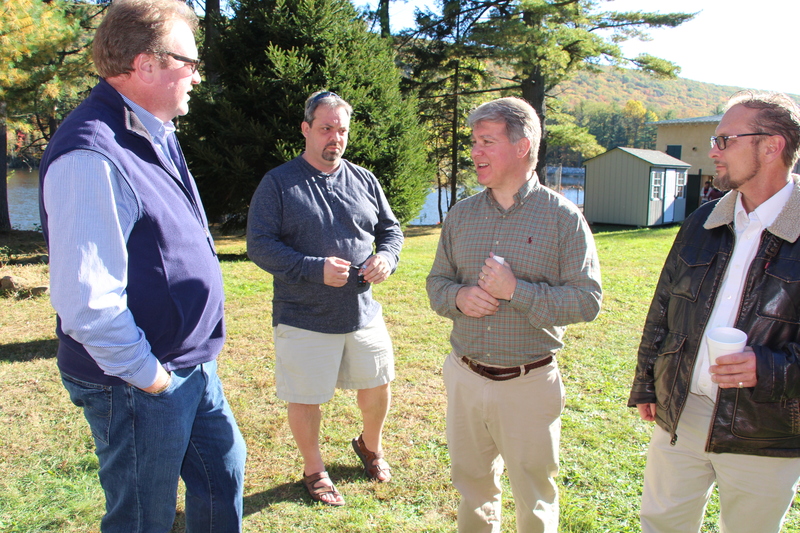 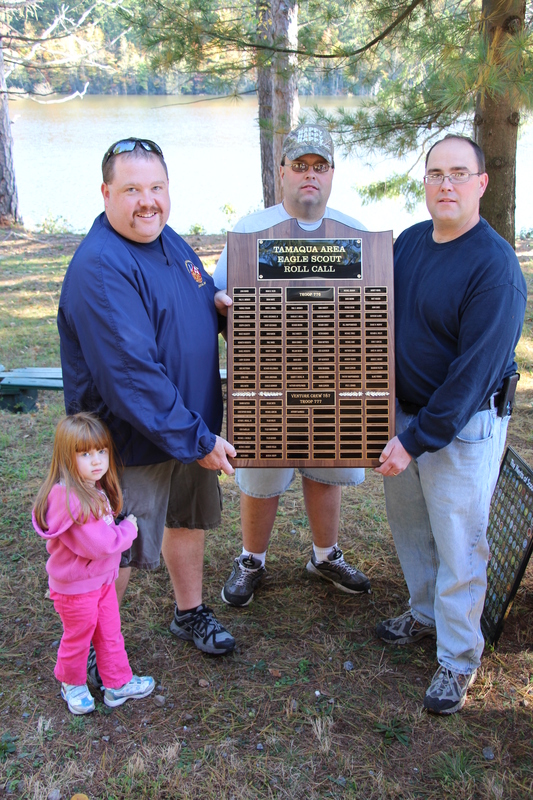 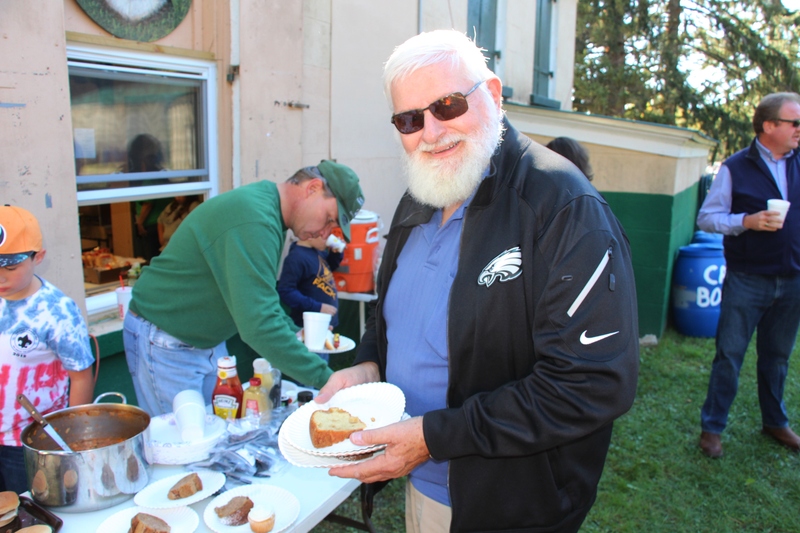 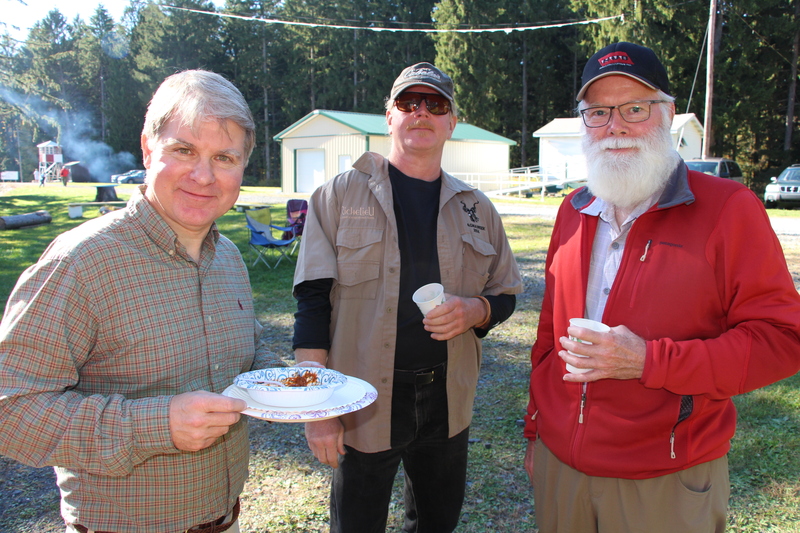 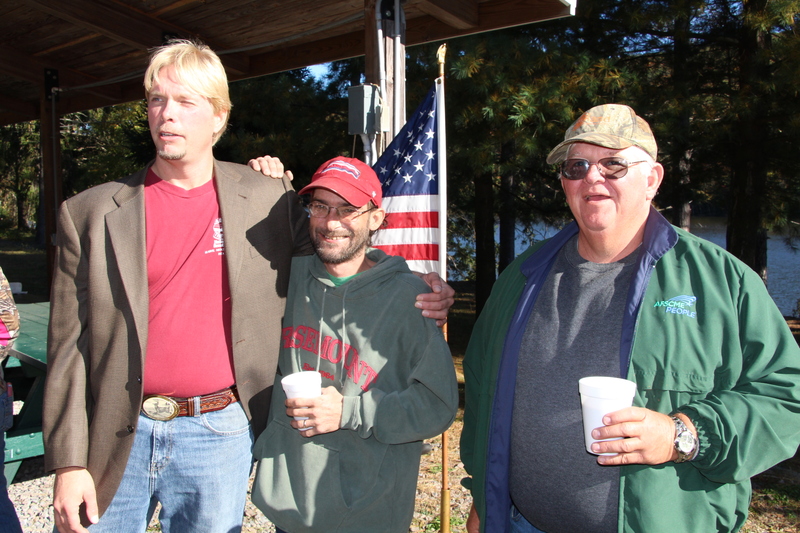 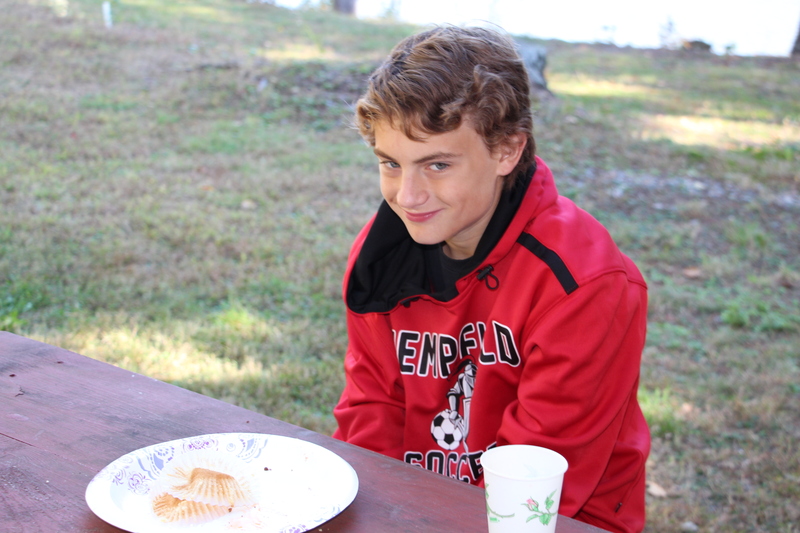 All former and current members of Tamaqua Boy Scout Troops 76, 776, and 777, sponsored by Zion’s Evangelical Lutheran Church and St. John’s United Church of Christ since 1960, were invited to attend a special reunion picnic at the Owl Creek Reservoir Pavilion on Sunday, October 11, 2015. 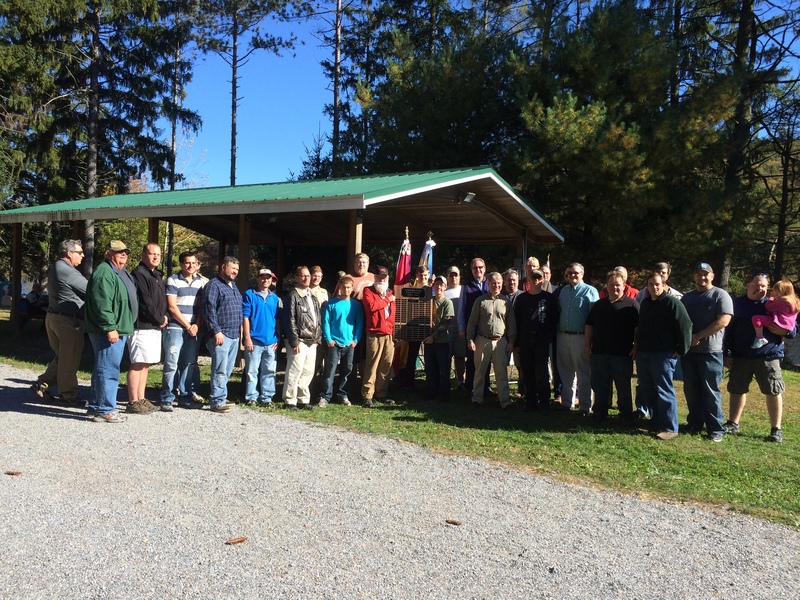 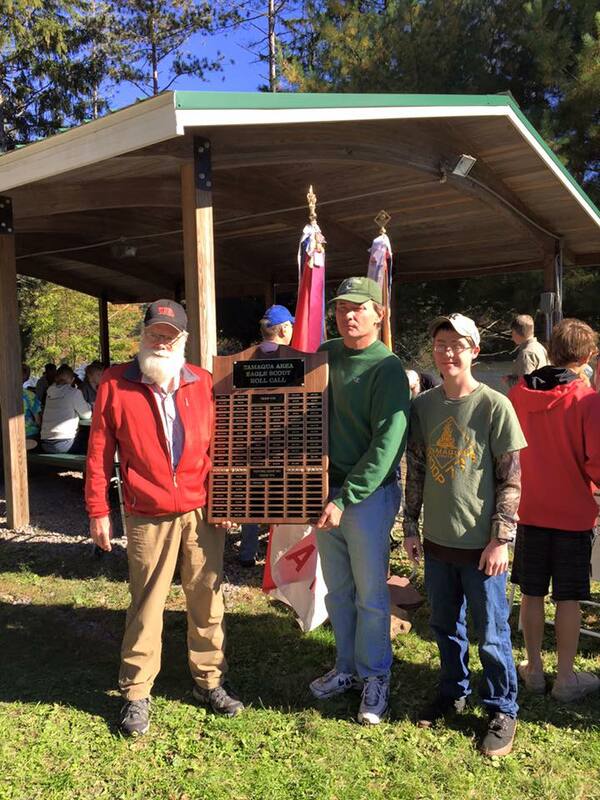 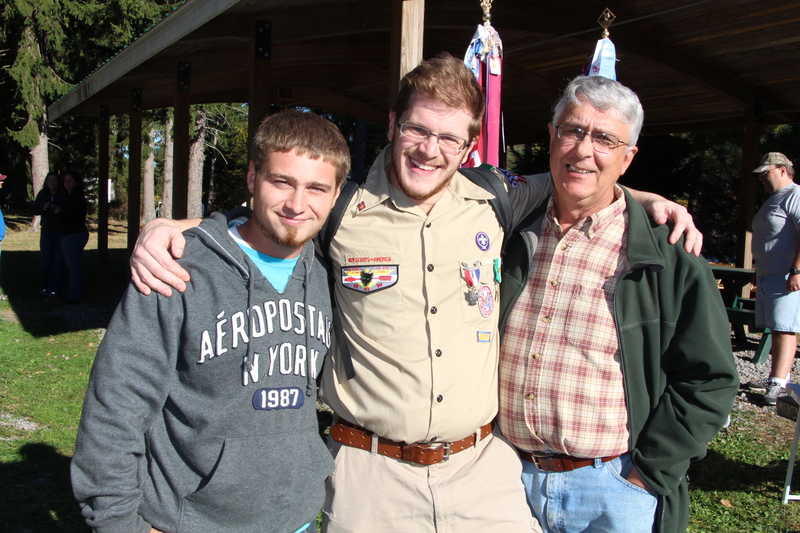 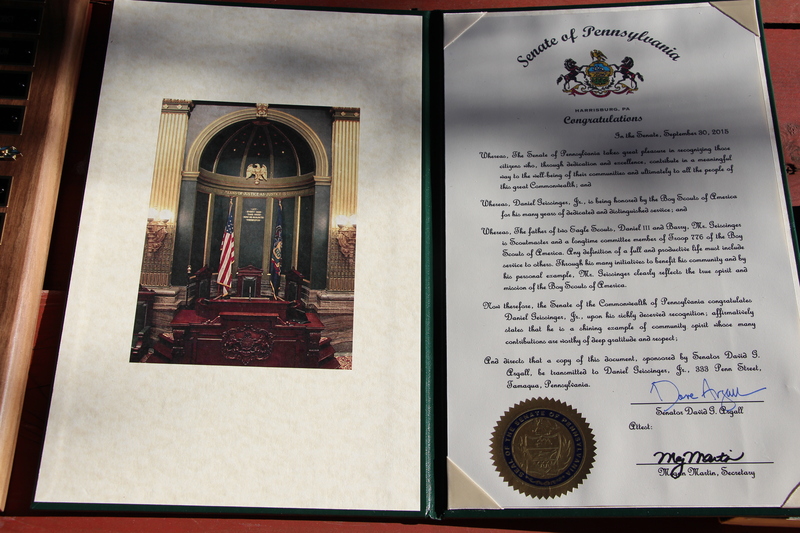 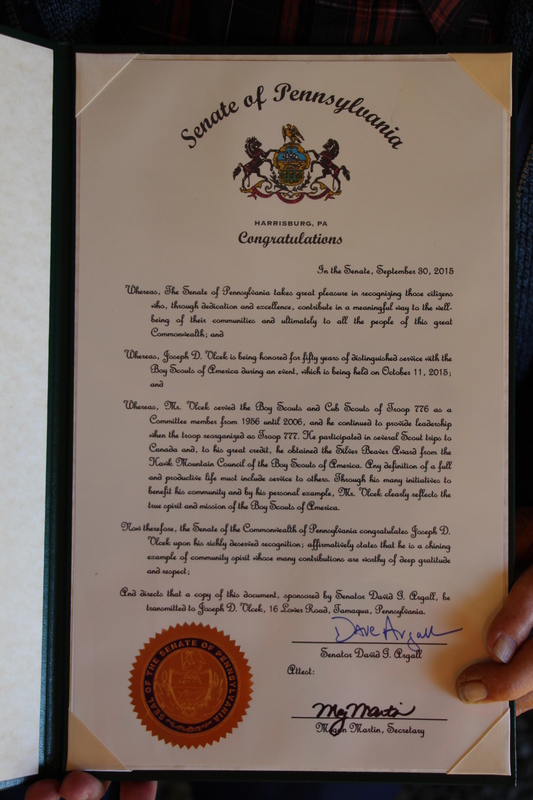 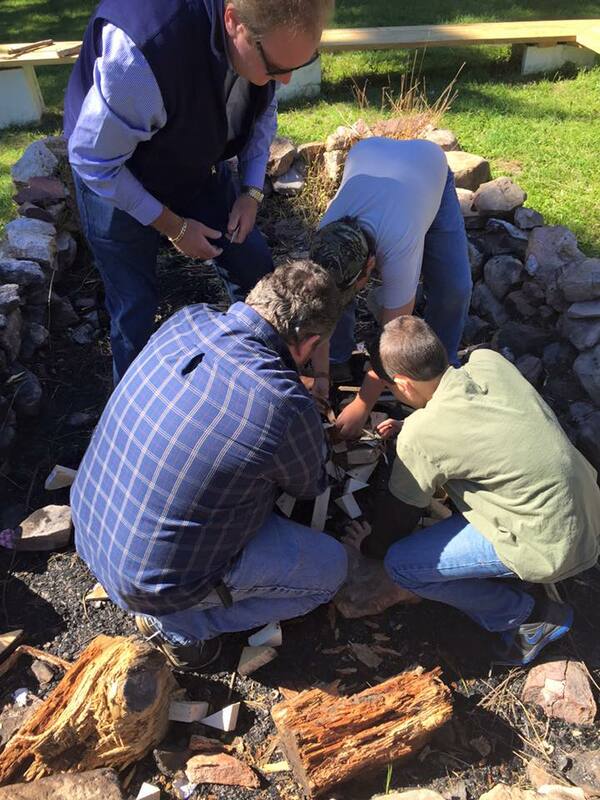 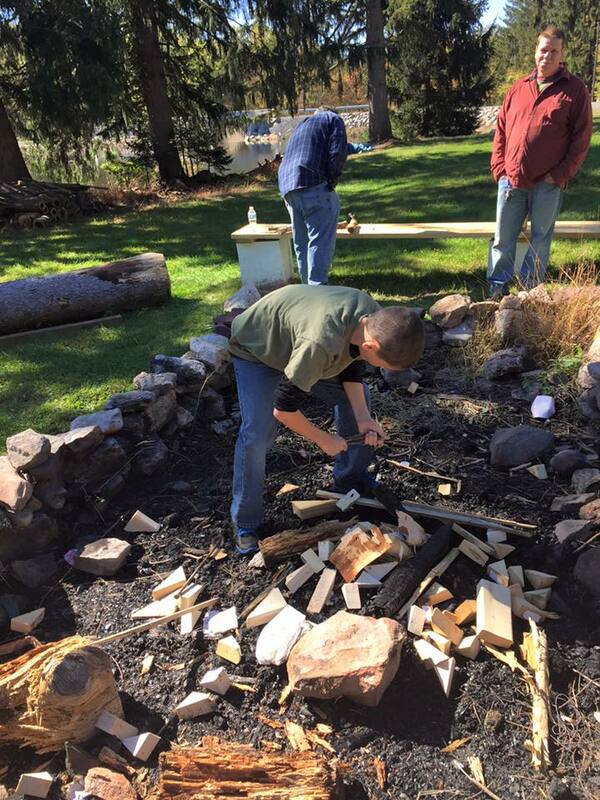 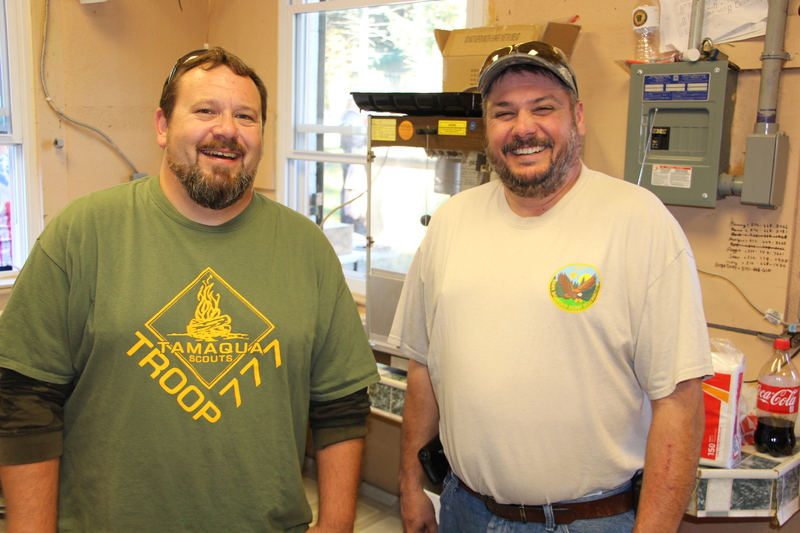 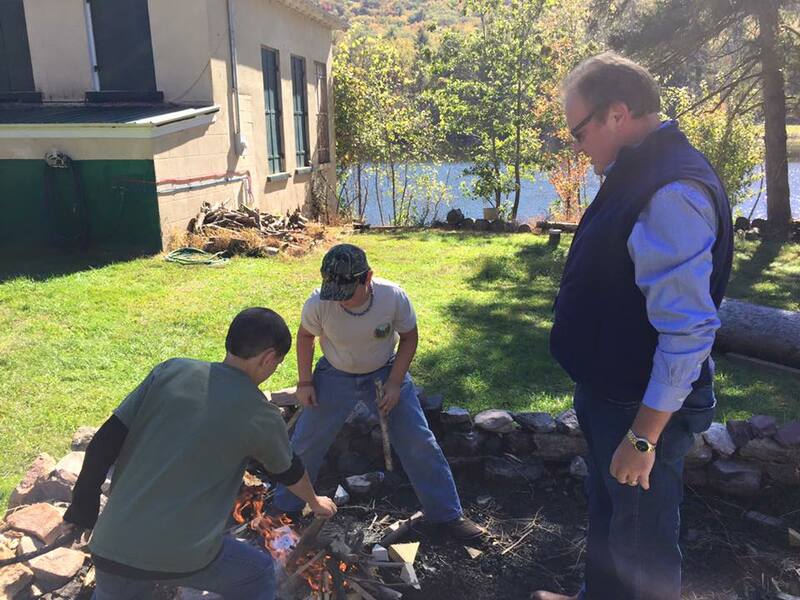 Approximately 85 people attended the event, including 28 Eagle Scouts. 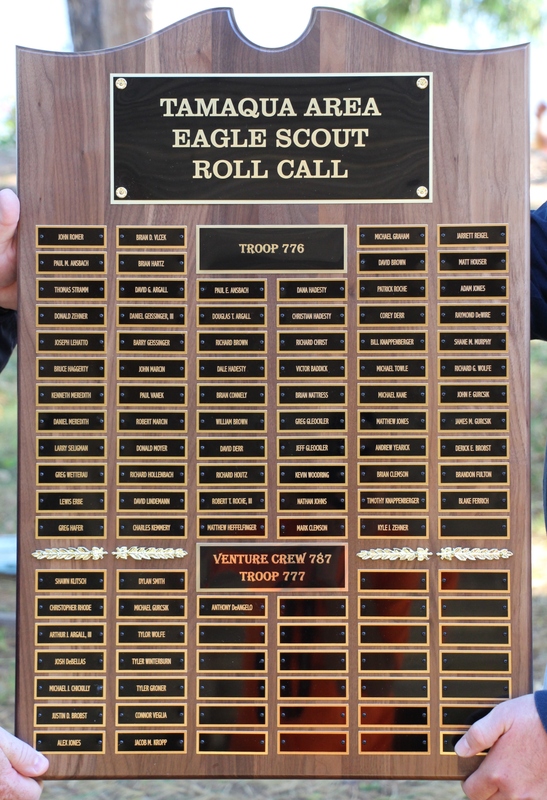 During the program, a roll call was said of the Troops’ 82 Eagle Scouts from 1960 to 2015. 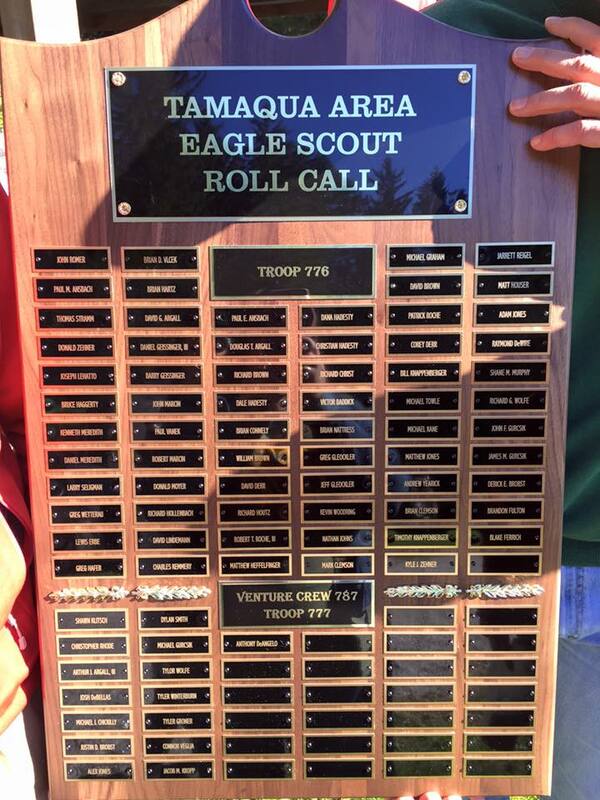 From Troop 776: John Roemer (first Eagle Scout), late Paul M. Ansbach, Thomas Stramm, Donald Zehner, Joseph Lehatto, late Bruce Haggerty, Kenneth Meredith, Daniel Meredith, Larry Seligman, late Greg Wetterau, Lewis Erbe, Greg Hafer, Brian D. Vlcek, Brian Hartz, David G. Argall, Daniel Geissinger III, Barry Geissinger, John Marcin, Paul Vanek, Robert Marcin, Donald Moyer, Richard Hollenbach, David Lindemann, late Charles Kemmery, late Paul E. Ansbach, Douglas T. Argall, Richard Brown, Dale Hadesty, Brian Connely, William Brown, David Derr, Richard Houtz, Robert T. Roche III, Matthew Heffelfinger, Dana Hadesty, Christian Hadesty, Richard Hadesty, Victor Baddick, Brian Nattress, Greg Gleockler, Jeff Gleockler, Kevin Woodring, Nathan Johns, Mark Clemson, Michael Graham, David Brown, late Patrick Roche, Corey Derr, Bill Knappenberger, Michael Towle, Michael Kane, Matthew Jones, Andrew Yearick, Brian Clemson, Timothy Knappenberger, Kyle J. Zehner, Jarrett Reigel, Matt Houser, Adam Jones, Raymond DeWire, Shane M. Murphy, Richard G. Wolfe, John F. Gurcsik, James M. Gurcsik, Derick E. Brobst, Brandon Fulton, and Blake Ferrich. 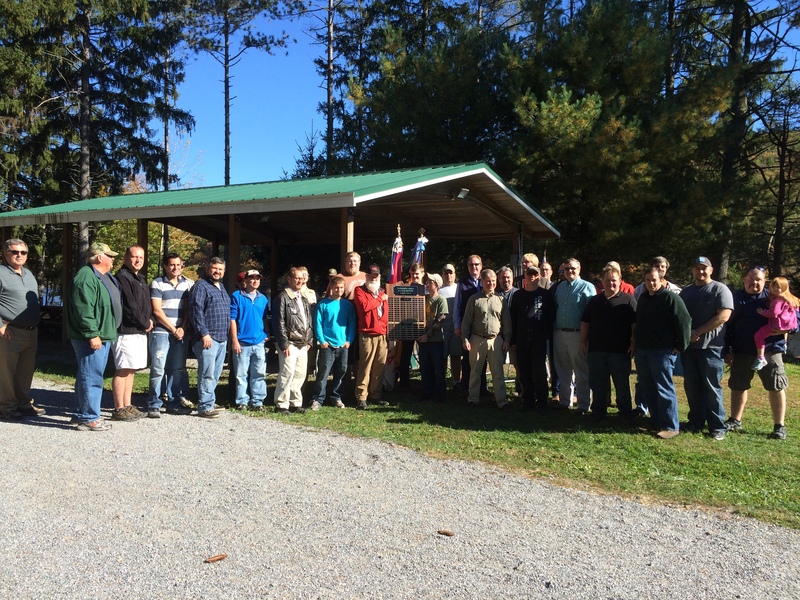 From Venture Crew 787 / Troop 777: Shawn Klitsch, Christopher Rhode, Arthur J. Argall III, Joseph DeBellas, Michael J. Chickilly, Justin D. Brobst, Alex Jones, Dylan Smith, Michael Gurcsik, Tylor Wolfe, Tyler Winterburn, Tyler Groner, Connor Veglia, Jacob M. Kropp and Anthony DeAngelo. 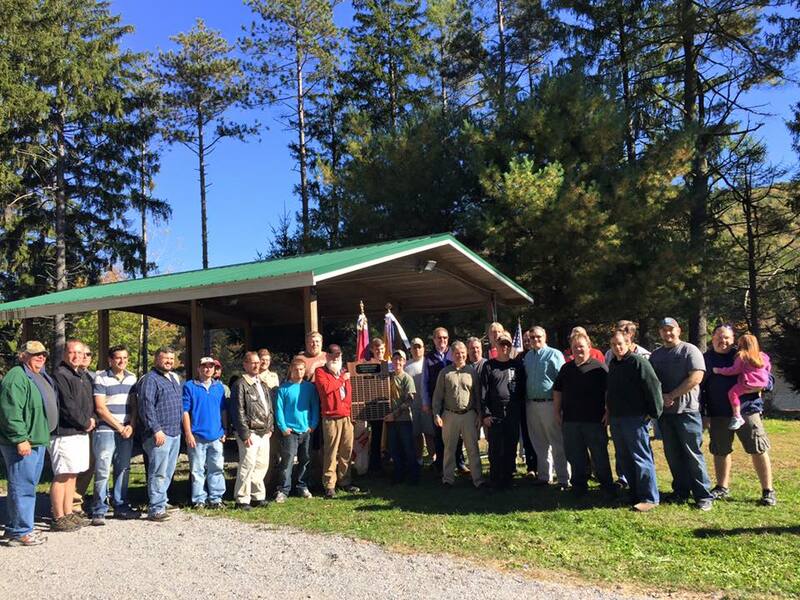 The below scouts are some of the 85 people to have attended the picnic. 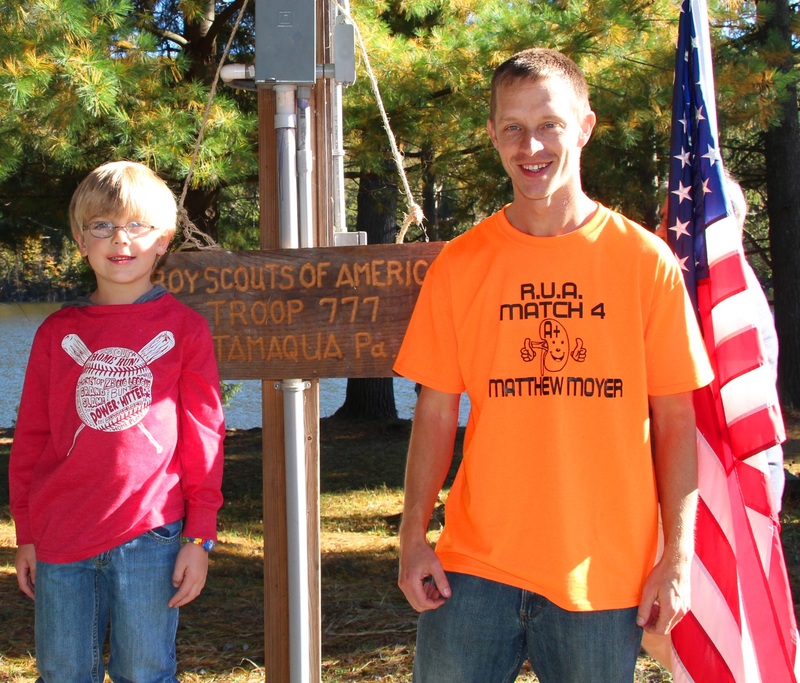 They are listed with their primary decade in the Troop as a Scout. 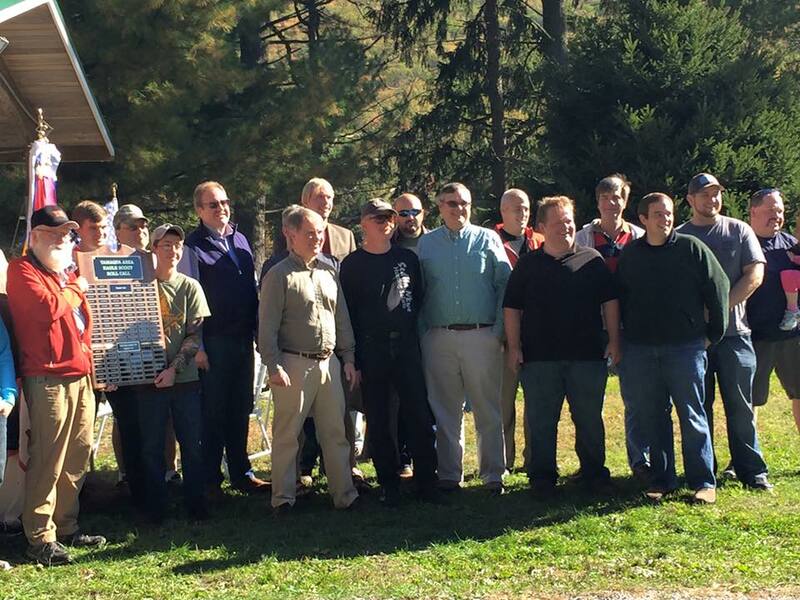 John Roemer 60s, Richard Brown 60s, Frank Kemery 60s, Greg Hafer 70s, Dave Argall 70s, Bob Marcin 70s, Doug Argall 80s, Don Moyer 80s, George Woodward 80s, Dave Brown 90s, Rick Christ 90s, Corey Derr 90s, Chris Hadesty 90s, Dana Hadesty 90s, Bill Knappenberger 90s, Brian Nattress 90s, Kevin Woodring 90s, Nathan Johns 90s, AJ Argall 00s, Jarrett Reigel 00s, Josh DeBellas 00s, Zach Chodur 00s, Matt Houser 00s, Alex Jones 00s, Dylan Smith 00s, Tyler Wolfe 00s, and Anthony DeAngelo 2015. 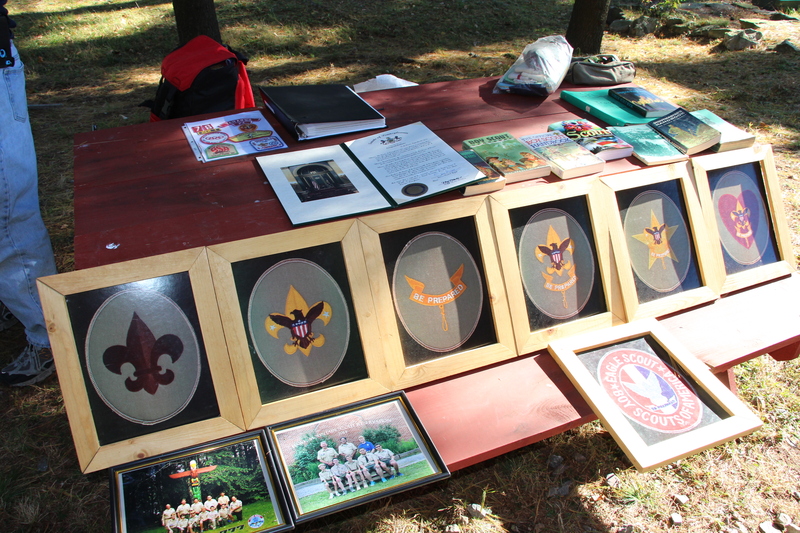 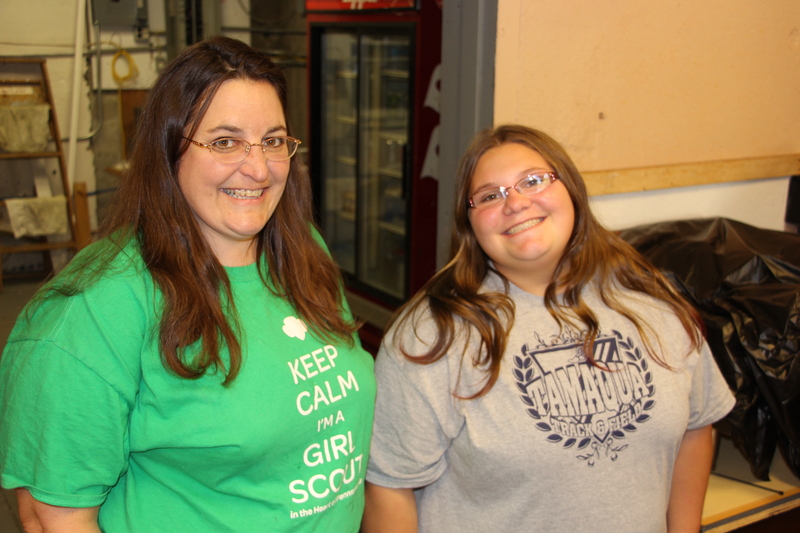 The troop meets every Monday at 7 PM in the social hall at the St. John’s United Church of Church, 150 Pine Street, in Tamaqua. 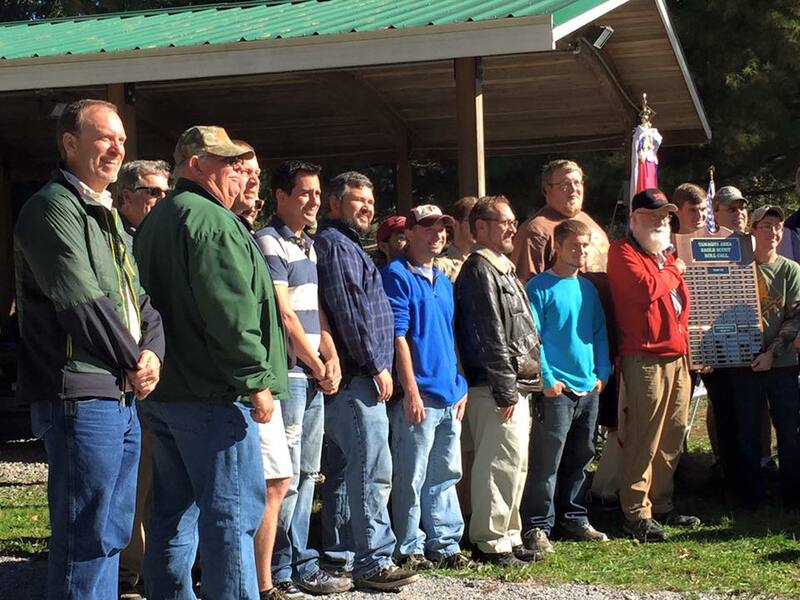 For future reunions, the troop will continue to compile an updated mailing list to send the invitations. 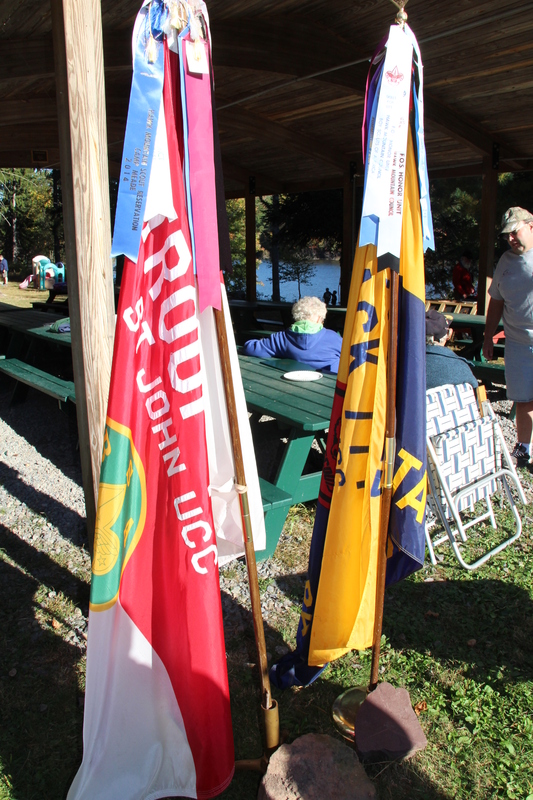 Anyone knowing the current addresses of former Troop 76/776/777 scouts and leaders who may be in interested in attending or organizing future picnic reunions is urged to call Dave Argall at 570-645-3418 or dargall@ptd.net.